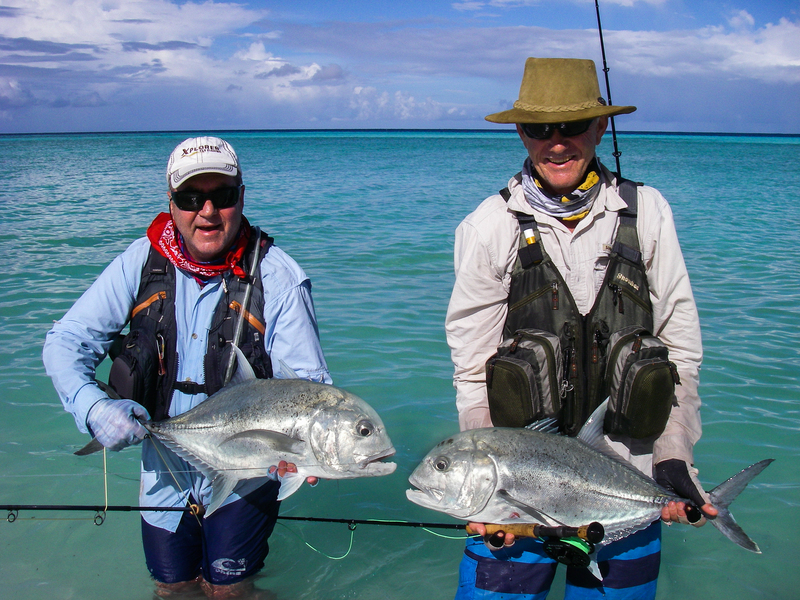 High cloud and blustery winds made for a challenging start to the tour but the seasoned group of anglers comprising of Ty P, Ian H, Andrew W, Andrew W, Frans B, Cidney C, Robert M and Ueli Z managed to take advantage of the small weather breaks and catch some great fish. 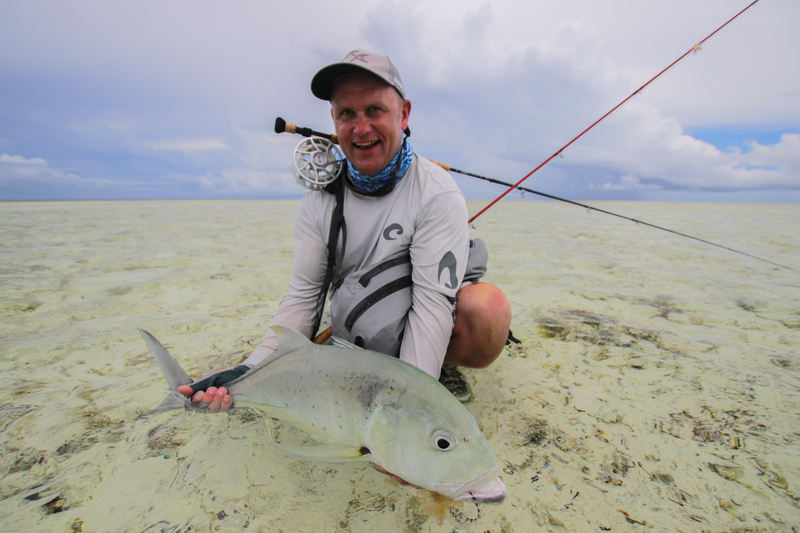 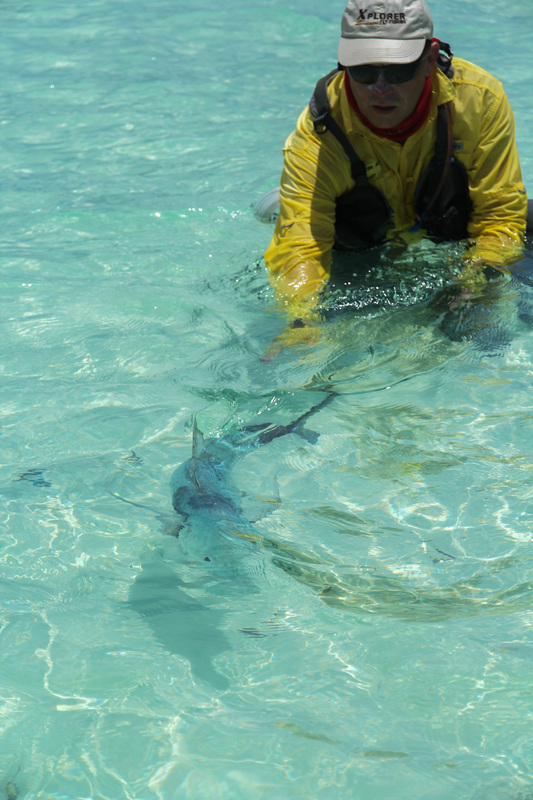 GT’s aplenty were seen holding on rays and cruising the endless white sand flats of the atoll, with an impressive total of 98 landed between the team. 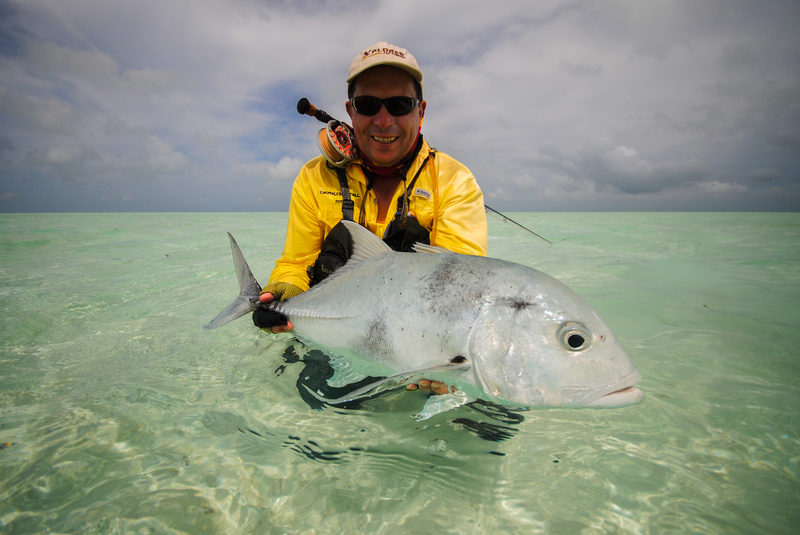 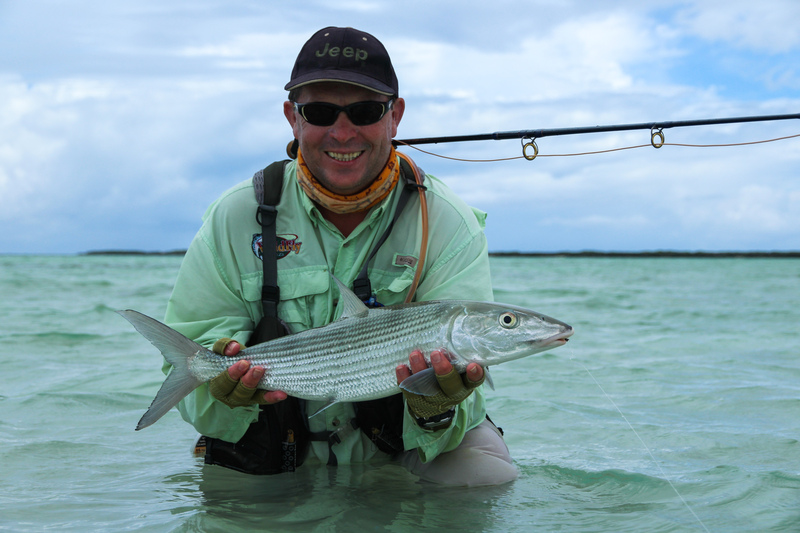 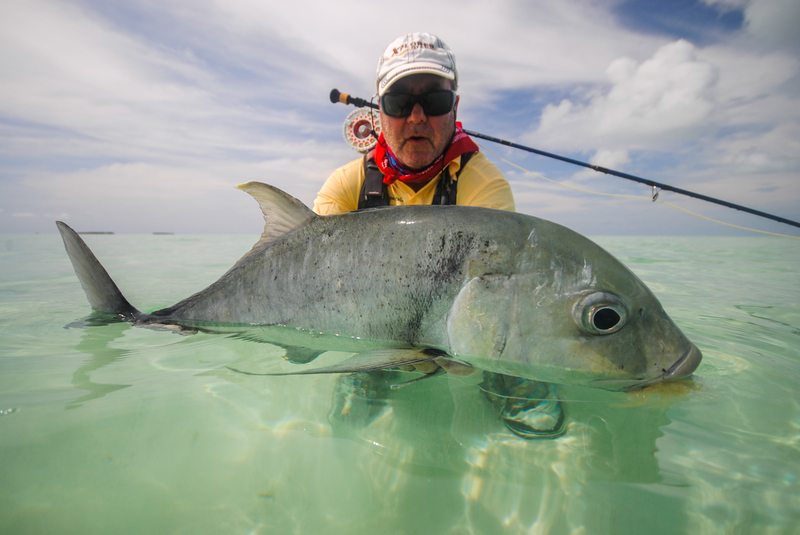 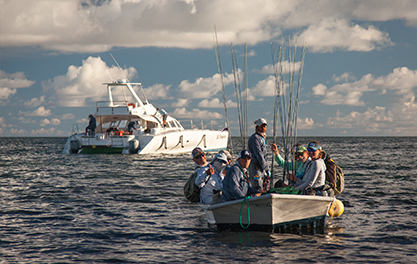 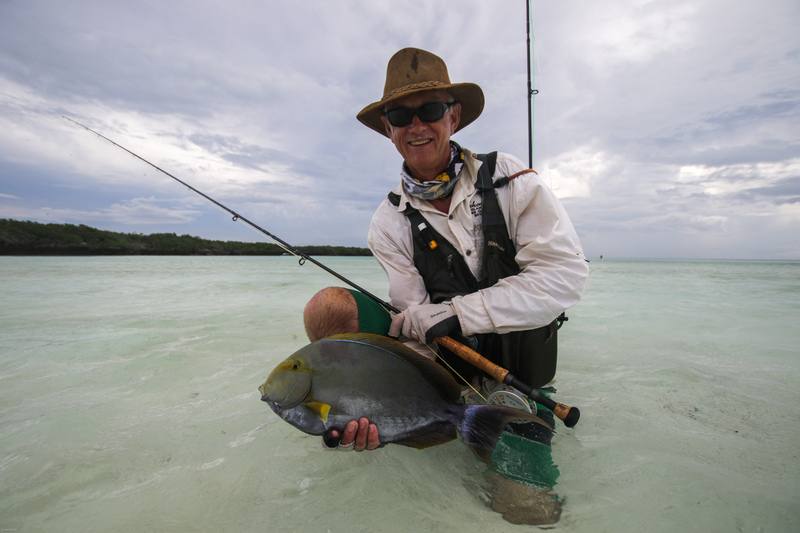 The neap tide cycle allowed the group endless time on the flats targeting species like Bonefish, Triggers and the ever-elusive Permit. 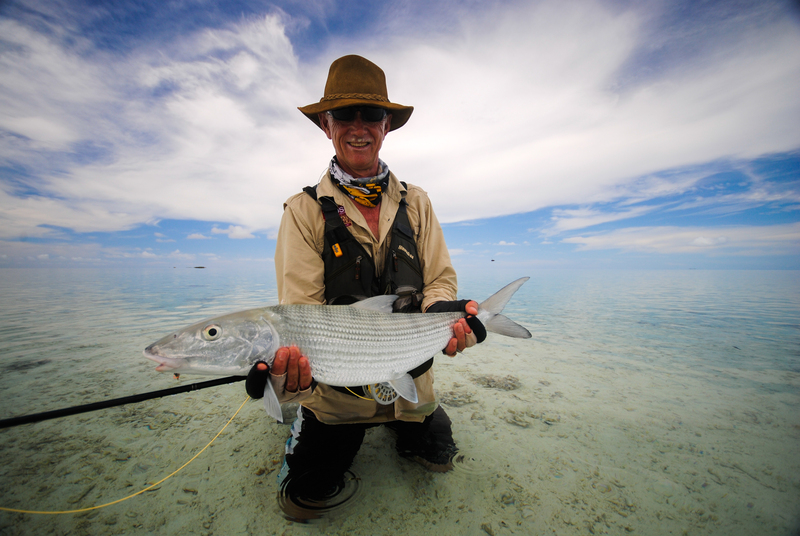 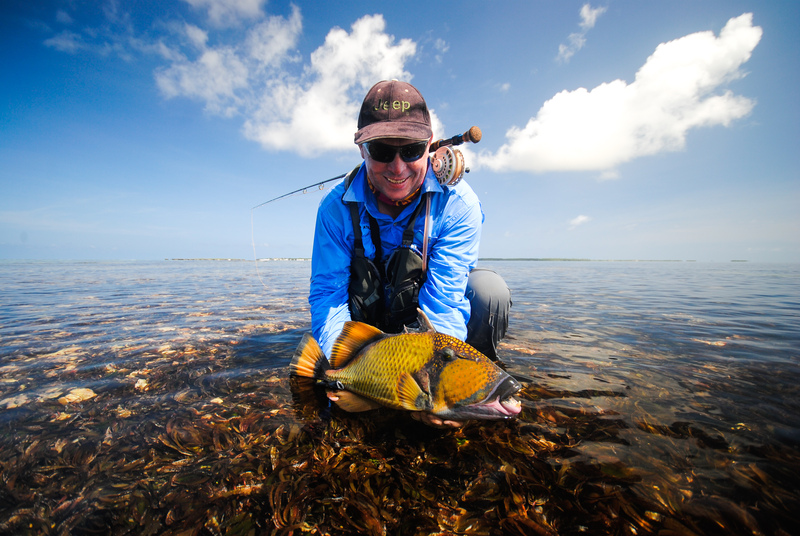 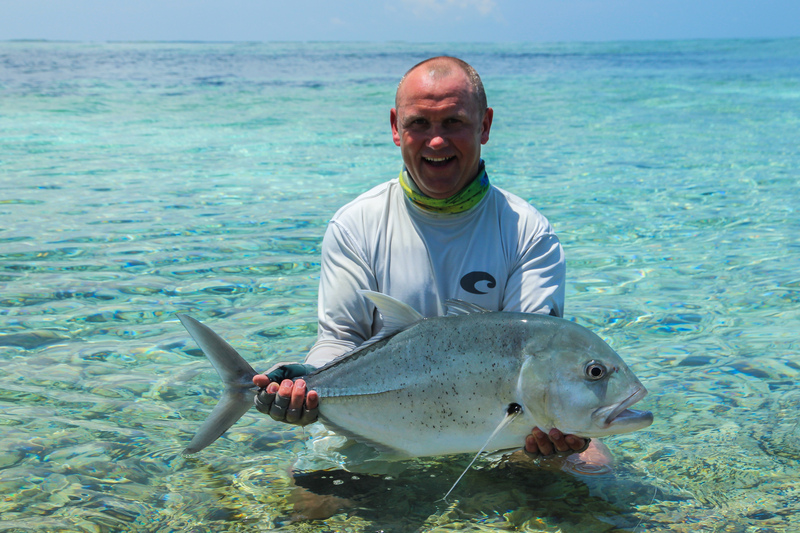 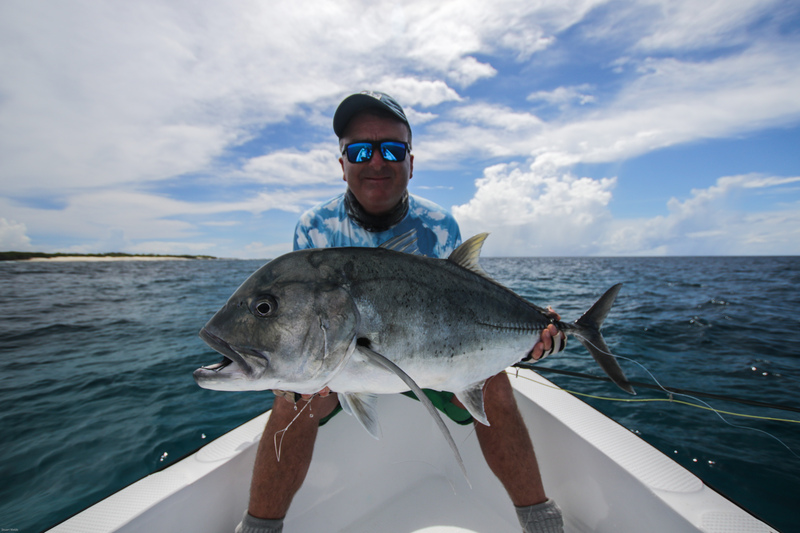 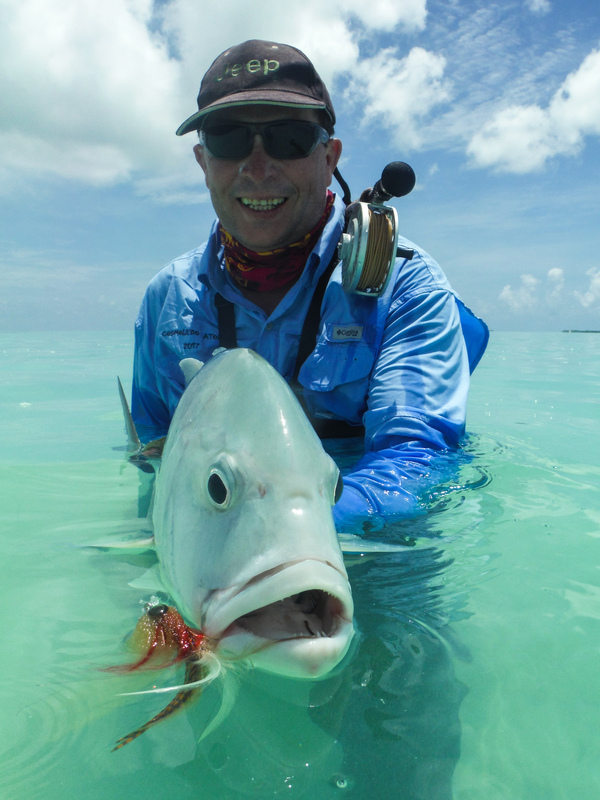 Ueli took full advantage of the species on offer and ended his trip with an impressive catch-count that included a ‘Flats Slam’ consisting of a Bonefish, Moustache Triggerfish and a GT. 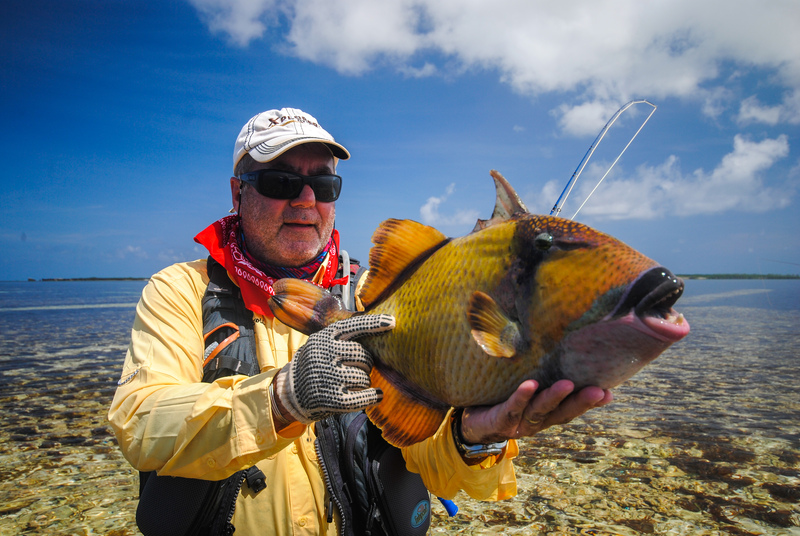 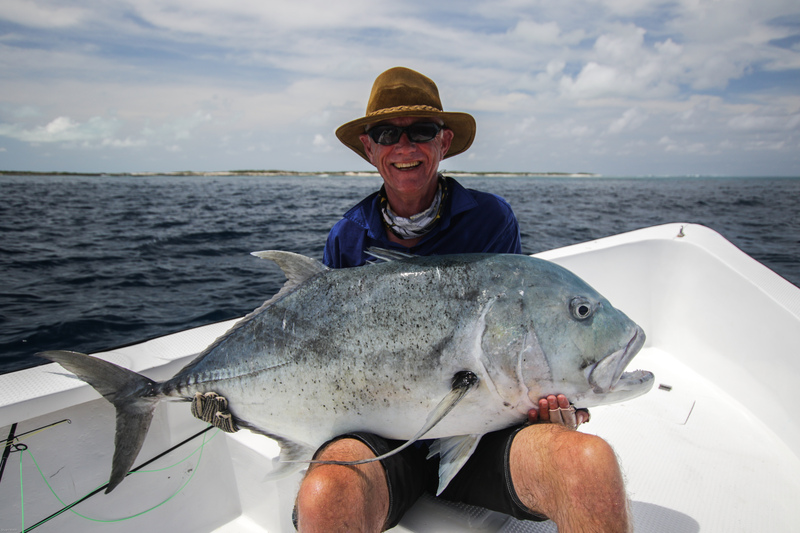 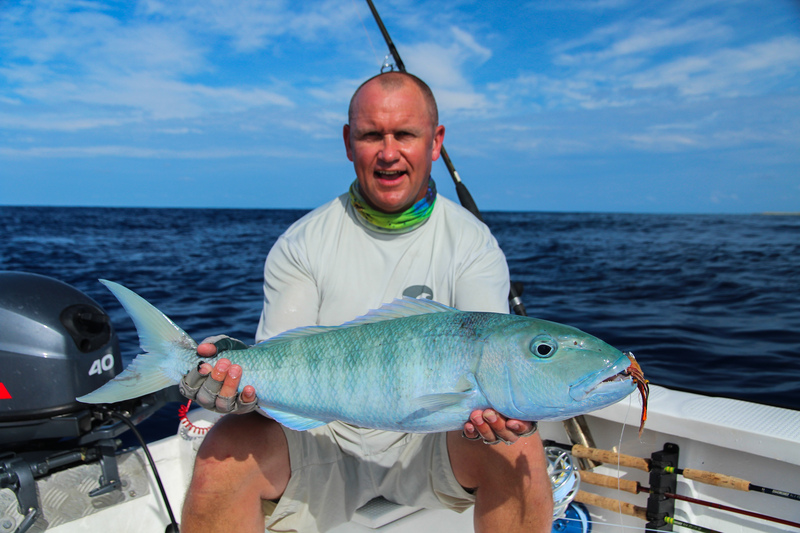 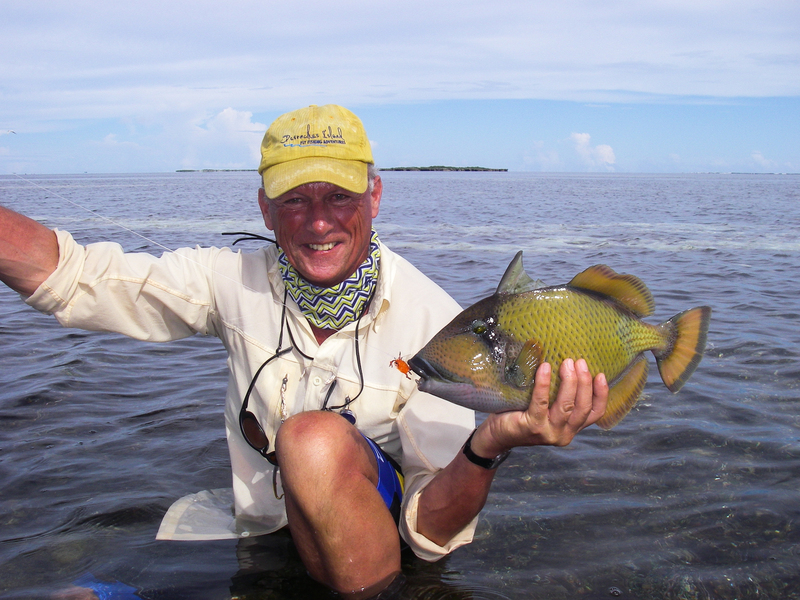 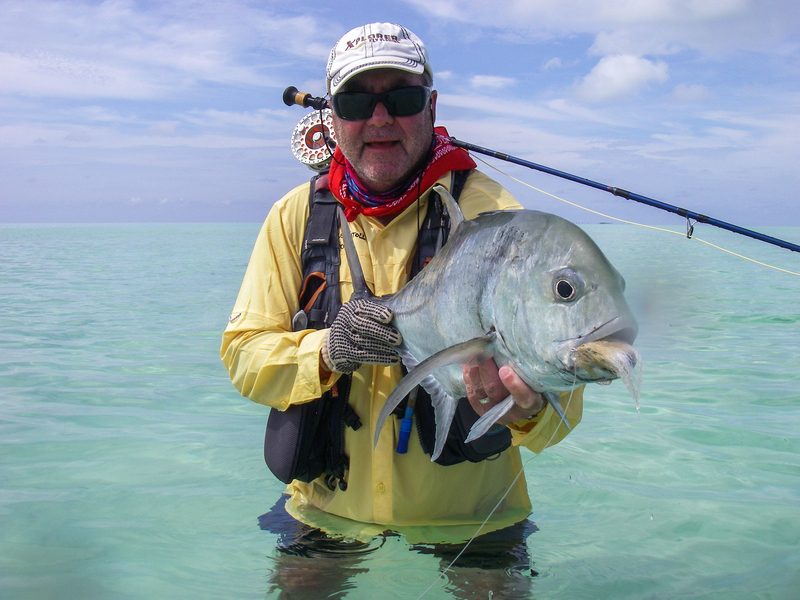 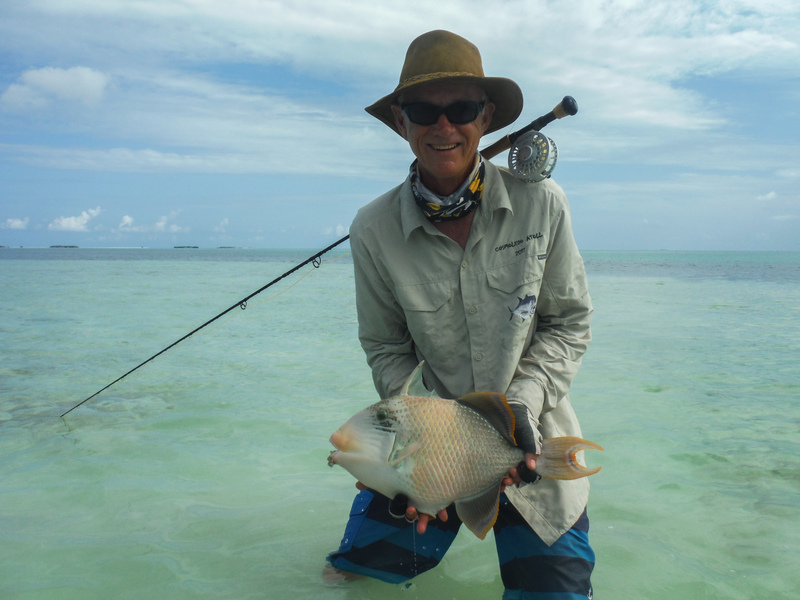 Frans and Rob also took part in Triggerfish festivities by landing a great specimen each. 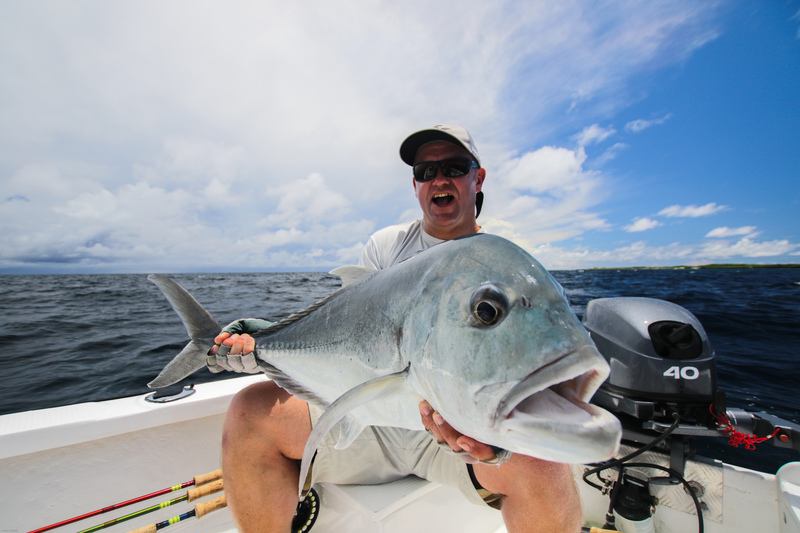 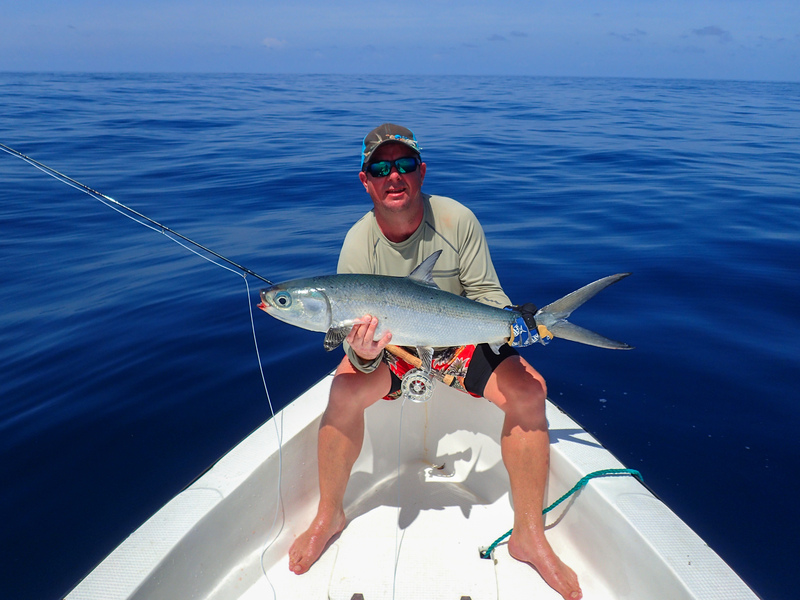 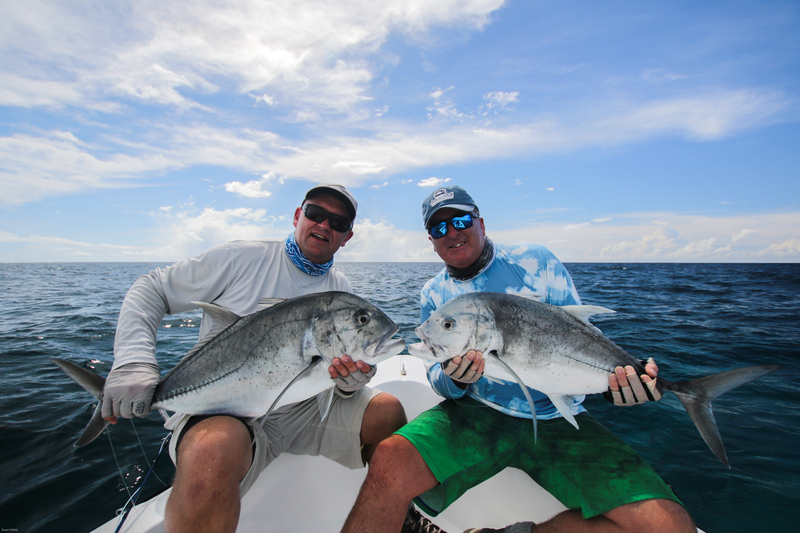 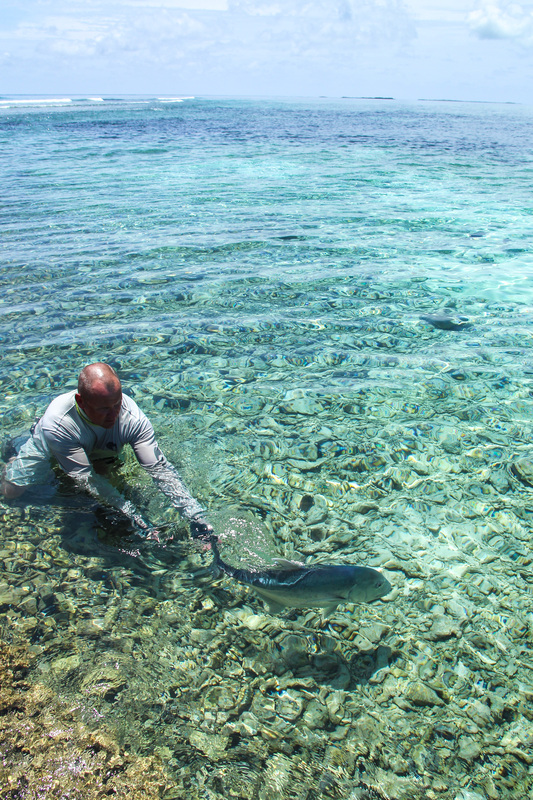 Ty and Andrew enjoyed the flat calm conditions on day five and landed the first two Milkfish of the season. 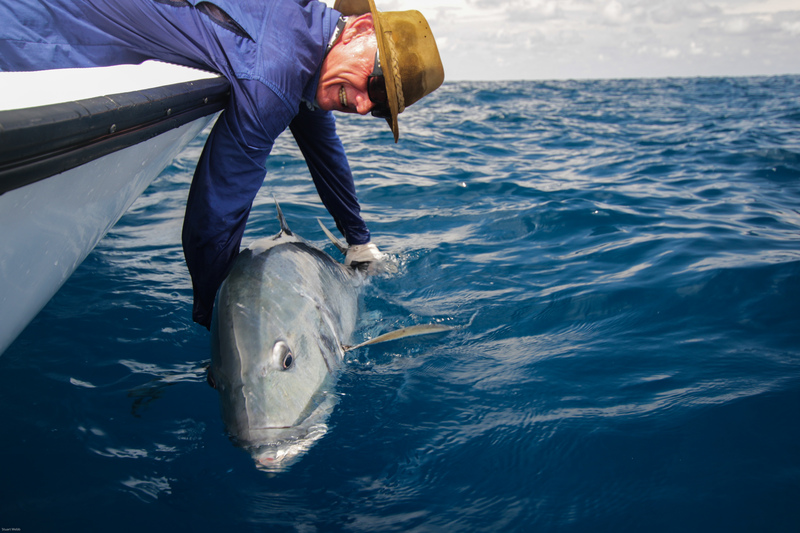 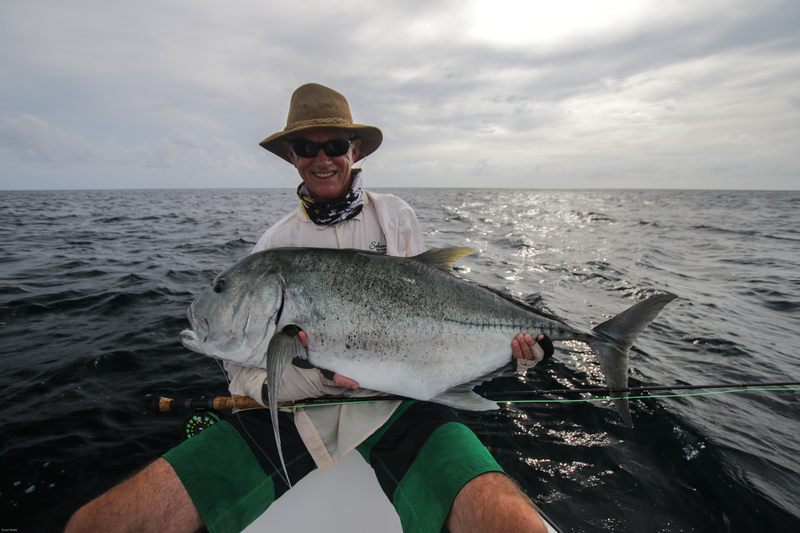 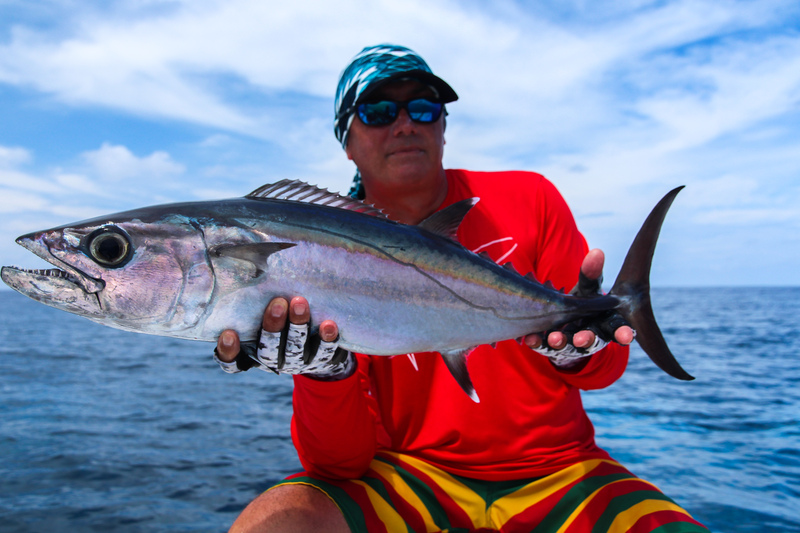 Ian took some time exploring the reefs and drop-offs on the outside of the lagoon and landed this season’s first Dogtooth Tuna. 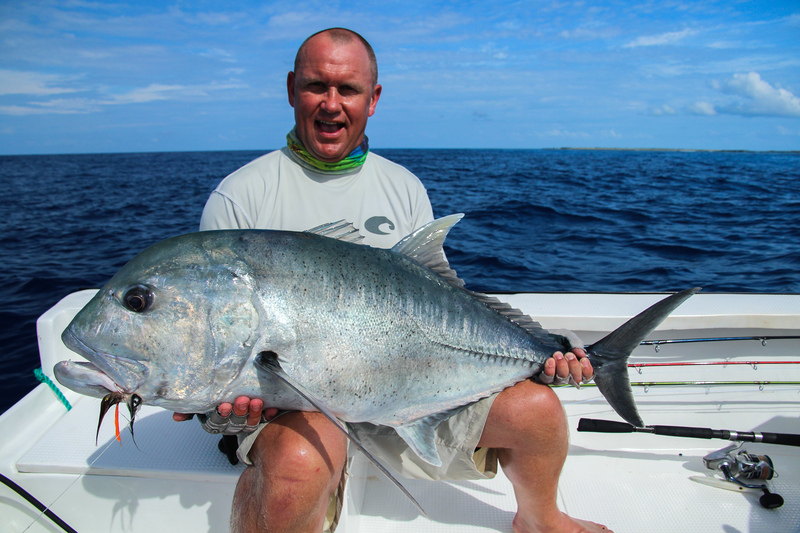 Andy took the prize for the most GTs landed with an impressive tally of 17, which included a trophy of 102cm. 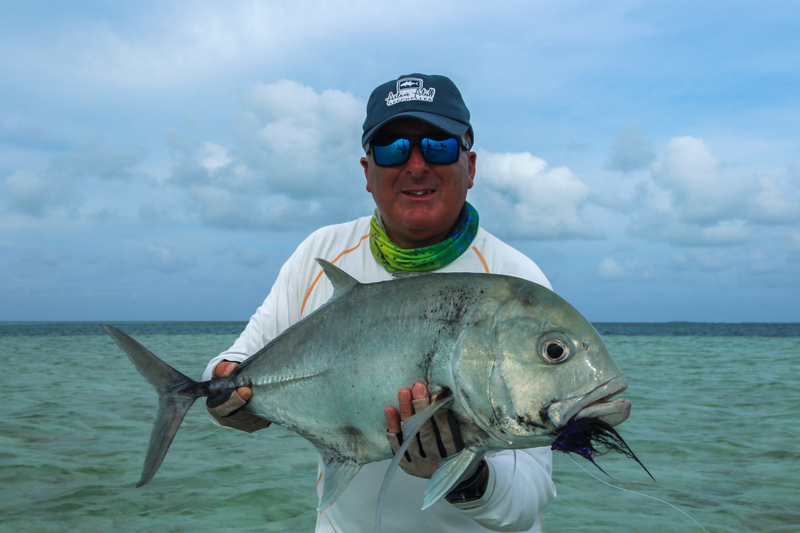 The champion of the week had to be Cidney with the only Yellowmargin Triggerfish of the week, the biggest Bonefish measuring 65cm as well as a collection of GTs that included an 110cm and a 124cm behemoth! 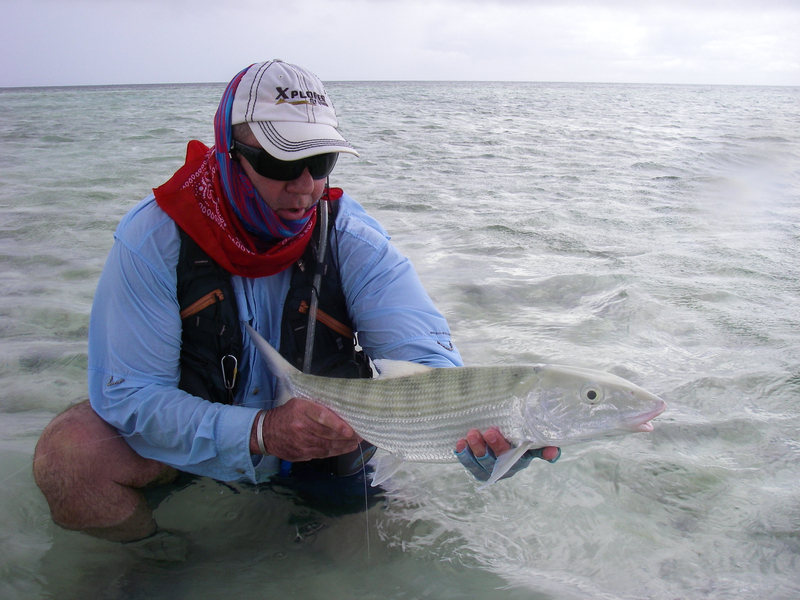 Despite some challenging conditions the group managed to catch a good amount of fish with some real trophies to remember. 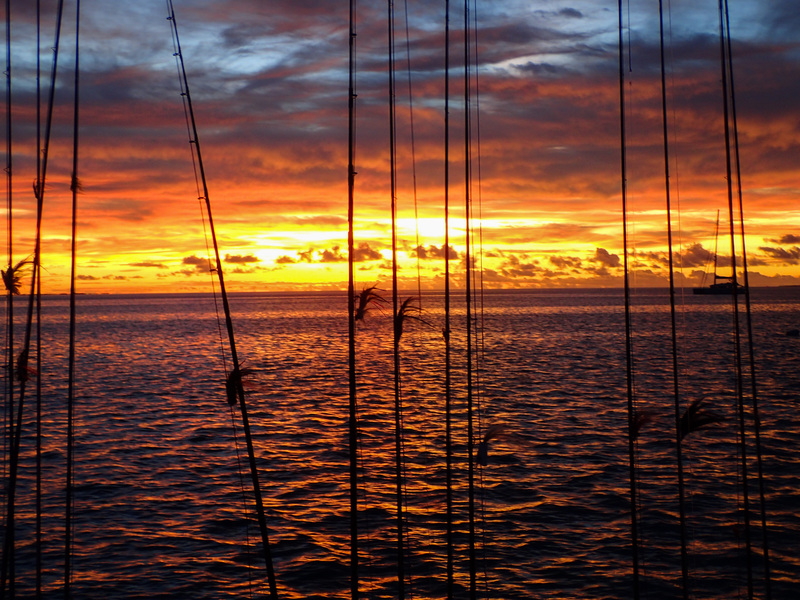 See some more images in the below.